Each of my boxes has a trellis on one side for vine plants. Want to build your own? This gorgeous picture is from my Uncle’s garden. I only wish my garden looked that good! 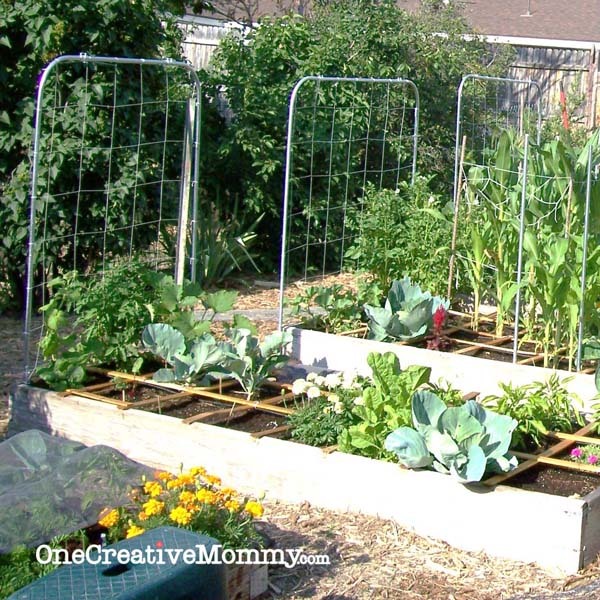 Be sure to check out last week’s garden post. 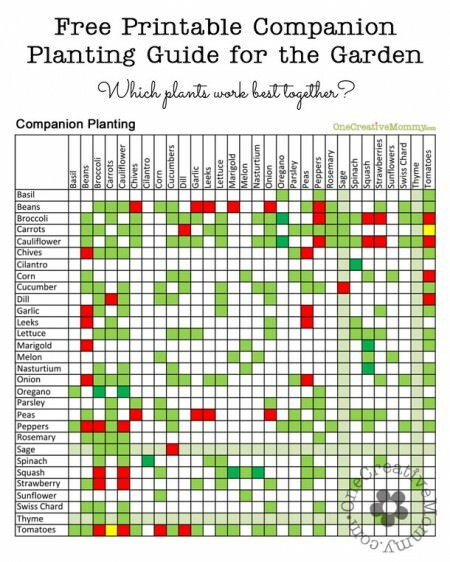 I provided a chart showing which plants grow well together in the garden. Companion Planting in the Garden: Which plants grow well together? Thanks for stopping by, and happy gardening! 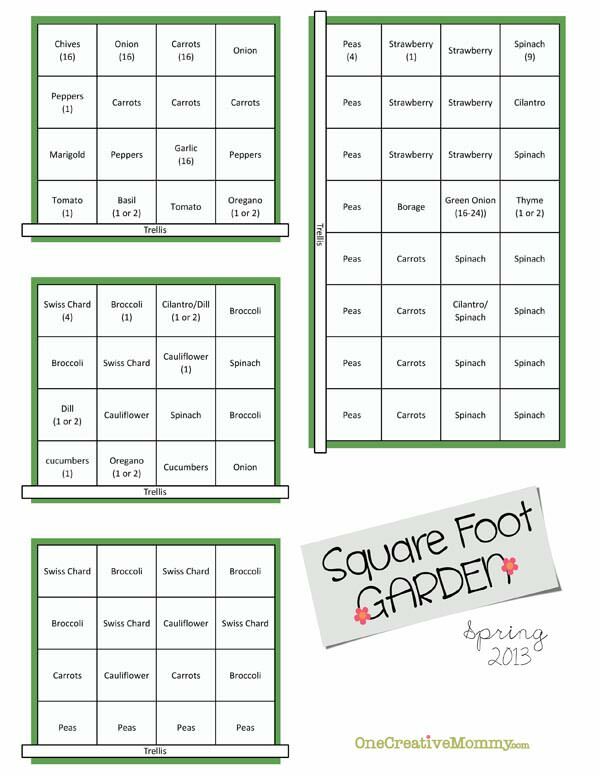 Love square foot gardening. I’m behind this year too. We lost our sunny garden spot, so this year I am having to plan a garden based on plants that are better in shade. It will be a new challenge. How awesome to be able to plant already! How late does your growing season go to? We typically can’t plant until May and if we’re lucky season will go through mid September. I LOVE this idea! Thanks for sharing! I can’t wait to read what grows well together! I grow some herbs and orchids but I want to grow more! I love gardening, especially when you can eat it! If you have time come take a look at my orchids! I have three 4×4 beds. I am going to try your layout plans. Im beginning to plant tomorrow! Thank for the tips. Have a wonderful gardening season! Found you in Six Sisters! Hi! Love your plans and also your printout for compatible plants…so good to have! I’m just starting to plant as we speak and it’s starting to get overwhelming. I was wondering, do the vine plants have to be trained or do they climb by themselves? Love your blog! What do the colors on the chart mean as far as good or bad match? 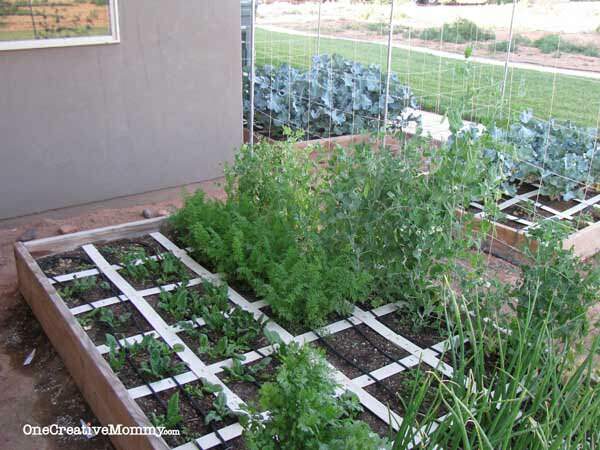 How do you go from season to season with prepping the soil and minimizing the weeds and things you don’t want to grow… When it’s become overgrown from the previous season and tons of tomato seeds and plenty of others have made a home in the soil mix that’s there? Hi, Kara. Sadly, I have moved to a new area, and there is currently no space for a garden, so it’s been a little while since I’ve gardened. Here’s what I remember: Some years, after my garden was finished, I covered it up for the fall/winter season with plastic. That kept the weeds down. As for the plants/weeds that appeared when I didn’t cover the garden, I just lifted off the slats to divide the garden spot into squares, tilled and prepped the soil, put the slats back, and planted away.